Our goal is to be transparent about fees and expenses associated with camp. 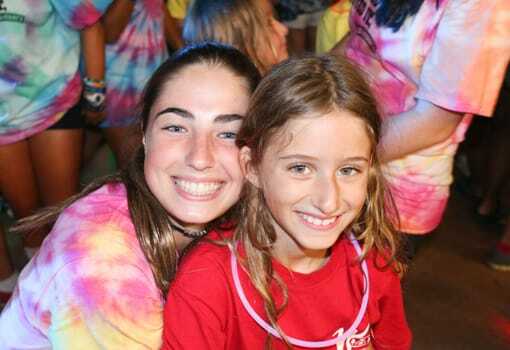 Our all-inclusive camp tuition allows families to plan and budget accordingly. Similarly, we shared the additional and optional expenses. Please read the below and contact us should you have any questions about fees or expenses. Bus transportation to/from New York City, Westchester, NY, Westport, CT and Boston, MA. Airport transfer to/from Boston Logan and Manchester Airports. Please contact us with any questions regarding tuition and/or expenses. Payment terms are a $1,500 deposit to accompany enrollment (includes $200 non-refundable application fee); $2,000 of balance due January 15, 2019; Final payment due March 15, 2019. There will be a $100 late fee for all payments received after April 1 and a $200 late fee for all payments received after May 1. All cancellations must be in writing. For participants in CAP, all payments (including the application fee) will be refunded or credited provided that cancellation is received prior to the start of camp. If Parent does not choose to participate in CAP, cancellation penalties will be based on the date the cancellation is received. For those who do not elect to participate in CAP, all tuition and fees are fully refundable (less the $200 application fee) until January 1, 2018. Thereafter, there will be a cancellation fee of $1,500 from January 1 to March 15; $2,000 from March 16 to April 30; and $3,500 from May 1 to May 31. All payments other than the cancellation fee will be refunded. After June 1, no payments will be refunded. The CAP program offers protection against cancellation penalties if Camper is unable to attend camp for ANY reason and Parent cancels in writing prior to the start of camp. Parent will receive a refund or credit of all monies paid based on when cancellation is received. Credits can be used for a future camp session by a family member, but are not transferable to non-family members and are non-refundable. For cancellations received prior to January 1, 2018, Parent will receive a full refund of all payments (including the $1,500 deposit and the CAP fee). 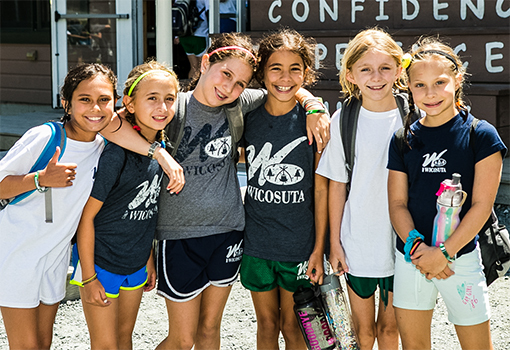 For cancellations received between January 1, 2019 and March 15, 2019, 10% of Camp tuition will be retained by Camp as a credit against a future Camp session and all additional payments will be refunded. 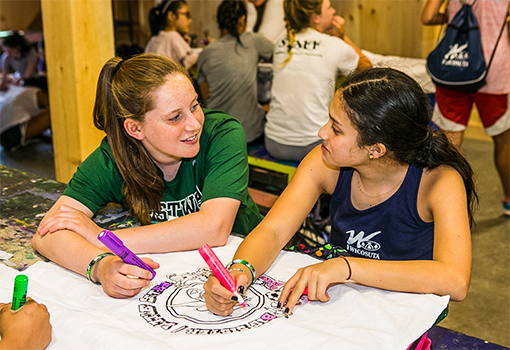 For cancellations received between March 16, 2019 and May 31, 2019, 25% of tuition will be retained by Camp as a credit against a future Camp session. 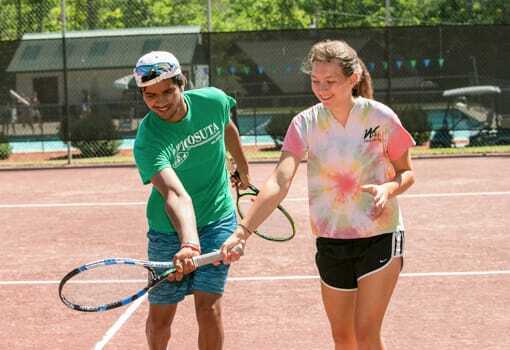 For cancellations received after June 1, 2019, 50% of tuition will be retained by Camp as a credit against a future Camp session and all additional payments will be refunded. The CAP fee will not be refunded after January 1, 2019. If Camper needs to leave Camp early, the unused portion of the Camp tuition will be retained as a credit by Camp for a future Camp session. CAP is intended to protect the Camp investment should Parent or Camper need to cancel for any personal reason (including personal choice). Participants in CAP do not need a specific reason to receive the benefits of CAP. However, in order to protect the Camp for future generations, the Camp reserves the right to issue credits in lieu of scheduled refunds in the unlikely event of an Act of God, War, Terrorism, Civil Unrest, or any other non-personal situation that, in the Camp’s sole judgment, could lead to significant cancellations that would have a negative financial impact on the the future of the Camp. You must sign up and pay for CAP at the same time you enroll in camp. The deadline for CAP enrollment is March 15, 2019.